11th June 2009. Over a Hundred New Members, New Explorer Cards, Maps & Books in the Shop, New Site Layout - Links Footer, Have you tried Site Search? and a New Trek - Lindsay Island. The massive special on Membership that was featured in our last newsletter was a great success - we've added over a hundred new Members! Many people also took advantage of the 42% discount off merchandise so you'll no doubt find yourself seeing more vehicles sporting ExplorOz wheel covers than ever before. Did you know, we have around 44,000 registered site users andmembers account for nearly 5% of this total? Whilst this is a minority, members typically are very active on the site and some have made many valuable contributions to Places, Treks andArticles. They undoubtedly play a huge part in keeping the site interesting - you only have to read some member blogs and look through the Member Profiles accessible from the Members List to see why. Latest News from our online shop brings the addition of four new Explorer Cards, so if you’re travelling to the Margaret River Region, East Gippsland, the Flinders Ranges, or theHigh Country, we now stock digital maps to help you find your way. Due to the high demand for the Cronin’s Key Guides currently available on the shop, we’ve just added two new products to the range:Cronin’s Key Guide to Australian Wildlife, andCronin’s Key Guide to Australian Mammals are now on the Shop, and are a great reference book to help you identify any creature you may encounter on your journeys. 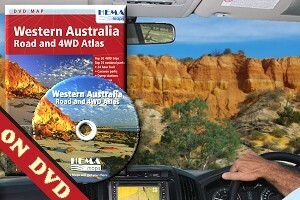 Also new to the shop is the Western Australia Road and 4WD Atlas - DVD, which is the digital version of the popular Western Australia Road and 4WD Atlas. To celebrate, we’re keeping the print edition on Super Special for the next fortnight. If it has been a while since your last visit to the ExplorOz.com website - you'll notice a big change, as we have recently implemented a new and fresh open look. Each page features a ‘links’ footer (scroll to the bottom of the page) so you can easily navigate to the various sections of the website. 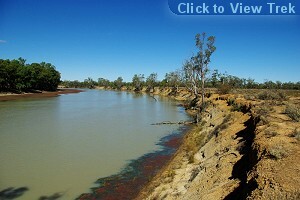 You can also see who is currently online and read our past newsletters. Have you tried Site Search? Instead of using a search engine such as Google, to sift through a handful of websites to find a small piece of information, you may find it more productive to use the ExplorOz site search (see text box located in the right hand side of the blue menu bar). This powerful search tool provides a global keyword or phrase search within ExplorOz pages where you will receive up to ten results per category. If you would prefer more search results, click the link titled 'Take me to the full results page'. The next time you wish to find information - why not give it a try?